Bay Surgical Specialists always appreciates feedback from our valued patients. To date, we’re thrilled to have collected 661 reviews with an average rating of 4.82 out of 5 stars. 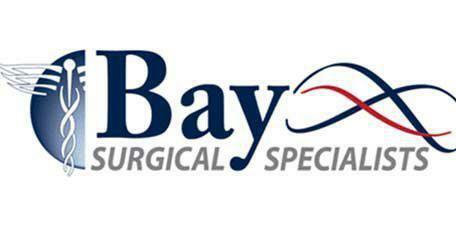 Please read what others are saying about Bay Surgical Specialists below, and as always, we would love to collect your feedback. Dr Huguet is a talented and caring surgeon has performed 3 procedures/operations on me. Good results each time. On time, questions answered, concerns addressed. Very professional and sensitive to my personal health. My experience with Dr. Almond is alway's a pleasurable one.The wait is never to long and the personal is alway's friendly. My visit was with Dr. Collins. He answered my questions and gave advice moving forward with my medical situation. Thank you Dr. Collins. I appreciate the time that doctor huguet took to address all my concerns and hear me out. Dr Huguet and his team are the best. They change lives for the better. Thank you Dr Huguet! Always very professional and well organized. Excellent staff! Dr Collins is very helpful, and informative! Dr. Collins is an excellent doctor the staff is wonderful.